Cleve West won the award for ‘Best Show Garden’ for the second year running. 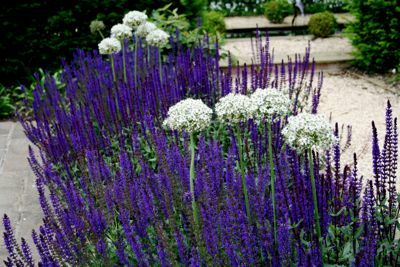 Cleve’s gardens are never overly flamboyant, but they are always a great combination of beautiful planting and simple, often understated but meticulously detailed, hard landscaping. He often uses quite masculine, solid sculpture. This year, in his Brewin Dolphin Garden, the main focal point was a sculpture which is actually an old well found in a reclamation yard. The soft cottage planting contrasted beautifully with solid yew topiary. 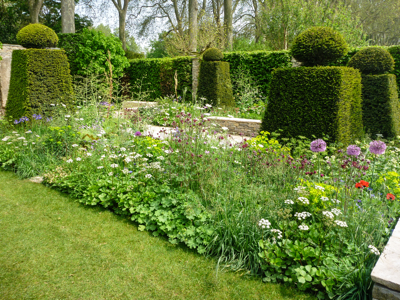 Traditional topiary was also used to great effect by Arne Maynard in his garden for Laurent-Perrier. 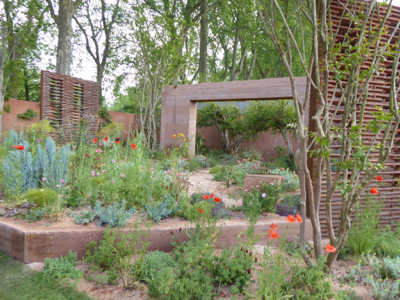 His muted planting scheme was complemented by a long walkway flanked with lovely copper beech pleached trees. I always find it interesting to see how other designers are using materials in different ways. 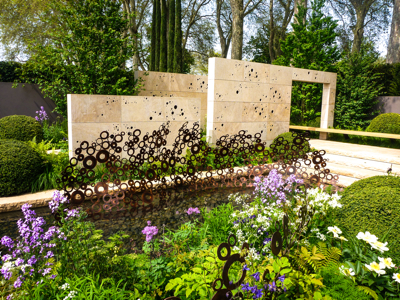 This year Andy Sturgeon won my prize for originality with his monolithic stone walls drilled with holes, used in the M&G Garden. 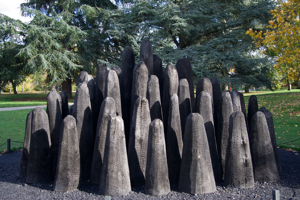 The design is also repeated in the ‘energy wave’ sculptures of copper rings which ran throughout the garden. 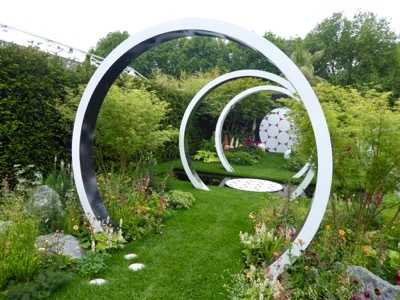 I was also really taken with the Homebase Teenage Cancer Trust Garden by Joe Swift. I loved the combination of the cedar wood frames and the copper bark of the Prunus Serrula trees and rusty iron water feature. In the bright sunshine, the garden really glowed. Sarah Price combined copper edging and huge pieces of stone to create an unusual stepping stone path in The Telegraph Garden. The pretty woodland planting evoked the beauty of the British countryside. Away from the big show gardens there are often little gems to be found in the smaller ‘Artisan’ gardens. This year the real standout was a stunning Japanese garden by Kazuyuki Ishihara. The garden was designed to express the importance of living in harmony with nature, and the planting and stonework was exquisite. A real oasis in a busy showground! It was a well-deserved Gold medal winner and a lovely example of how less really can be more. Water is always a key element to the show gardens, and pools, rills and fountains abound every year. Cleve West designed stone rills with spouts coming out from his stone gate pillars, while Arne Maynard used simple water spouts in contemporary urns. 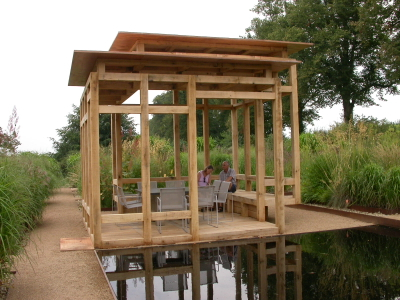 One of the most impressive pools was found in The World Vision Garden by Flemons Warland Design. The centre piece of their garden was a mesmerising ripple pool, filled with dark water and surrounded by tree ferns and a winding labyrinth path. 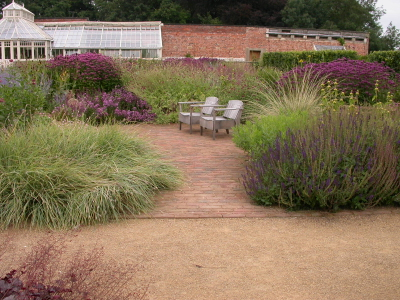 Tom Hoblyn used water in a much more classical way in his garden for Arthritis Research UK. His garden was inspired by the great Renaissance gardens of Italy and included a fountain seat (very inviting on a hot day!) and little arching water spouts behind a clipped box hedge. So much to see! And that’s not even taking into account the furniture, the sculpture, the latest wellies, the must-have gloves, the handmade trugs, the shepherds huts, and of course not forgetting the thousands and thousands of plants ….